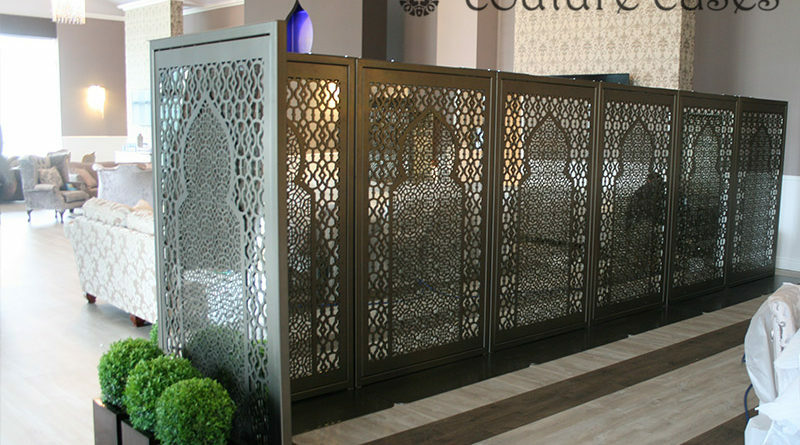 We were delighted to be commissioned by one of the UK’s leading events management companies to create a modular wall of mirrored laser cut metal screens to act as a room divider separating beautiful lounge and dining areas. 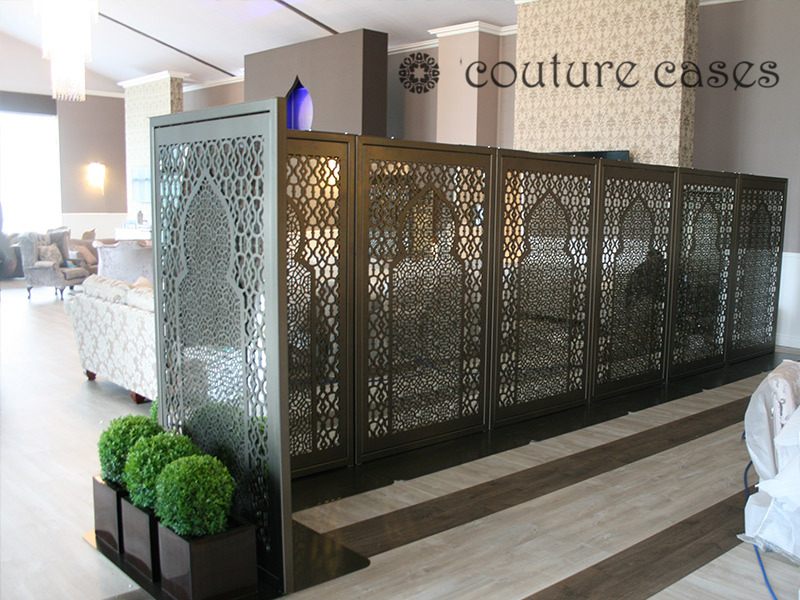 With only a 4 week turnaround the team worked very closely with the interior design team to create bespoke mirrored screens where every single design detail was scrutinised and agreed. 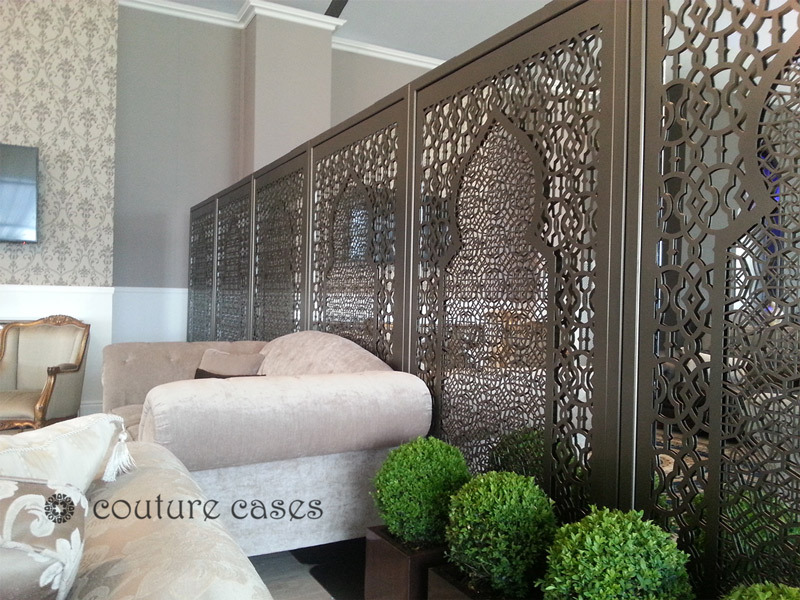 From the origination of the exclusive design pattern derived from arabic motifs and minaret forms, through to the colour selection and finish, every design stage was carefully considered and agreed. The final mirror screens incorporate mirrors on both sides of the metal panels. 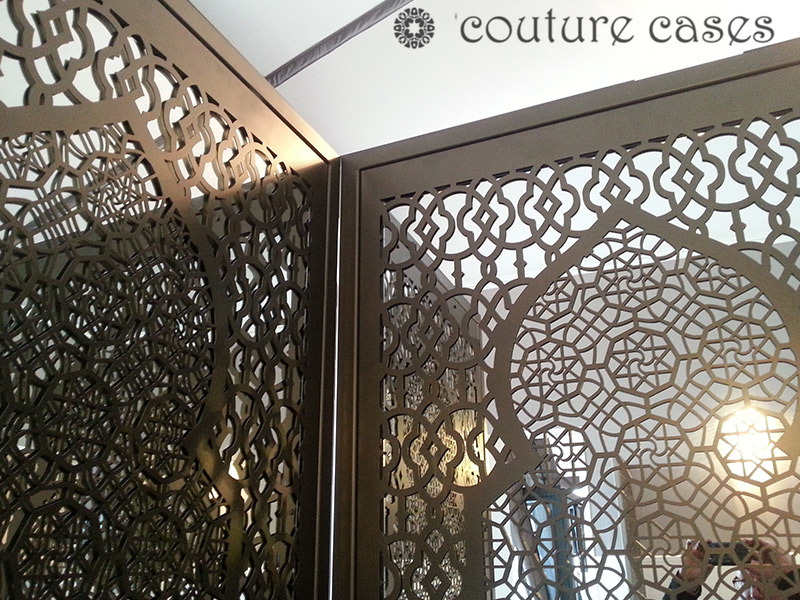 Look closely at the images and you will see the reflection of the rooms within the intricate laser cut designs, and not as you first imagine views looking through the screens. Each mirror screen is totally opaque, so perfect as privacy screens but also creating lots of additional light by reflecting natural and artificial light back into the interior space. Every event can now incorporate different room and space configurations. The modular nature of the exclusive screen design ensures total flexibility for future room layouts. Create small intimate meeting areas, irregular shaped lounge and sitting areas, or simple long room dividers the final designs can be changed at ease. For more information, testimonials and product detail information, please contact the design team via the contact form below.